Everyone in California understands that DUI is a serious crime in this state, but boating under the influence is also a crime here, and with southern California’s spectacular year-round weather, boaters and anyone else who enjoys the water should understand the law. If you’re charged with boating under the influence – “BUI” – immediately contact an experienced Orange County DUI defense lawyer. BUI is usually charged as a misdemeanor in California. 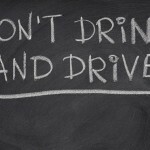 A conviction for misdemeanor BUI is punishable by up to a year in jail and/or a fine of up to $1,000. 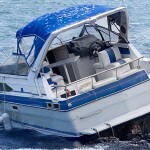 However, if you’re boating under the influence and you injure someone, it’s possible that you may be charged with felony BUI, and a conviction on that charge is punishable by up to three years in a California prison. Know what the weather forecast is before boating. Always have a working marine-band radio, marine flares, and a fire extinguisher. Don’t drink before operating a boat or any other watercraft. Boating under the influence is more than just illegal. It’s dangerous. In 2014 in the United States, 4,064 reported boating accidents resulted in 610 fatalities. 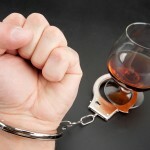 Still, if you’re arrested and charged with boating under the influence because you made a bad judgment – or if you’re wrongly accused and you’re innocent – retain the defense representation that you are very much going to need and contact an experienced Orange County DUI defense lawyer as quickly as possible.